Jaipur is the ‘Pink City’ and the capital of Rajasthan, India. It was the King Sawai Jai Singh II who found the city Jaipur on 18 November 1727. He was the monarch of Amber city, which is another spot with good population of 3.1 million as per current data. As per experts, Jaipur is the optimum planned city of India, which is positioned in the land with semi-desert of Rajasthan. Jaipur is having countless monuments and forts with special and unique designs. 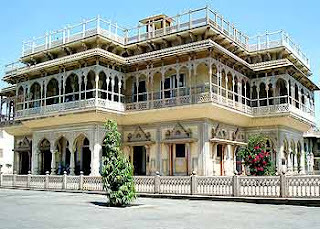 The structure within the city reminds the flavour of the Rajput’s and different ruled majestic families. Presently, Jaipur is turned as a big-business centre which is directly connected with many key cities of India for diverse types of trading. Some big areas of Jaipur are St. Xavier’s School, Vaishali Nagar, Mansarovar, Sanganer, Amba-Bari, Jhotwara and Raja Park, etc. 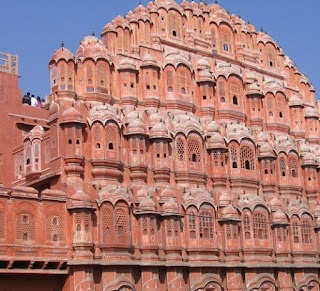 Hawa Mahal: this is the palace known as Winds House and some people call it as “Palace of Breeze.” This Mahal was built in 1799 by King Sawai Pratap Singh. The best part of Hawa Mahal is it is designed as crown of Lord Krishna. The exclusive five-storey outer structure of Mahal is similar to the honeycomb. It is constructed with red and pink stone situated in the main center of the city. 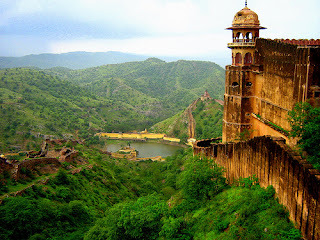 Jaigarh Fort: a fort positioned on the premonitory is known as Hill of Eagles (Cheel ka Teela). This fort was constructed by King Sawai Jai Singh III in 1726. The cause of construction of this fort was to protect the Amer fort from attackers. The length of Jaigarh fort is 3 kms. 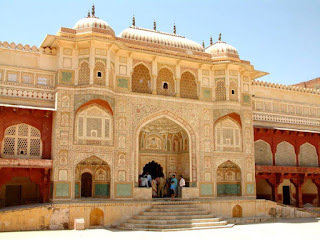 Amber Fort: Amer Fort which is also pronounced as Amber Fort situated in Amer town of Jaipur. This fort is positioned at 4 km distance from the city. Amber fort is major spot for a tourist, situated at high Aravali hill. It was built by King Man Singh First. Nahar Garh Fort: This known fort stands on the hill of Aravalli Ranges. The overwhelming sight of the beautiful city is special thing to watch from this fort. It was constructed as strong protection ring for Jaipur city. Earlier, this fort was named as Sudarshan Garh, but later the name was changed to Nahar Garh fort. 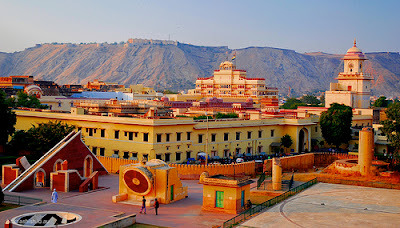 Jantar Mantar: The stunning collection of structural astronomical instruments presents in Jantar Mantar is special thing to watch in Jaipur. This structural design was built by King Jai Singh Second among 1727 to 1734. The key use of Jantar Mantar was to get the exact time as per sun rays. City Palace: one more palace, including two different Mahal in the area is City Palace. It includes Mubarak Mahal and Chandra Mahal with some more buildings. The edifice of this Mahal was done between 1729 to 1732, and the founder was King Jai Singh Second. Jal Mahal: a palace constructed in the City Lake is another best spot in Jaipur. The meaning of Jal Mahal is Water Palace, which means palace surrounded with water. The boats offered to attain the Mahal are specially designed by boat-makers of Vrindavan. They have crafted the boats in Rajput style, which is again special thing for a tourist. By Air: JIA (Jaipur International Airport) is having a huge airbase of national and international flights. The airport is positioned in Sanganer town situated at just 10 km distance from the city.